316 N Main St, Los Angeles which is a restaurant named "Queen Restaurant". Notes for the address: Queen Restaurant. 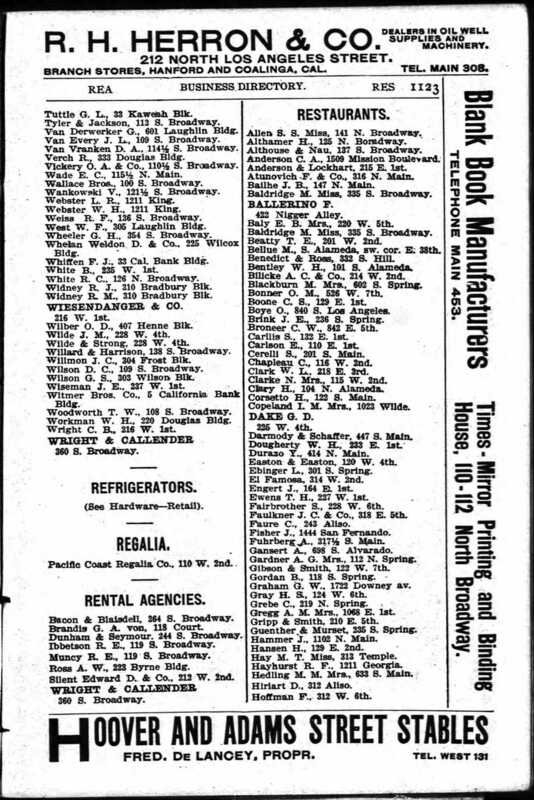 1890 Los Angeles County Directory. p279 & 369. Tel 456. 1892-01-31. QUEEN RESTAURANT, St. Charles Building, 316 N. Main St. This well-known restaurant has passed into the hands of Nicholas Mercadante, who will hereafter conduct it.